Open Daily 10 a.m. to 9 p.m. 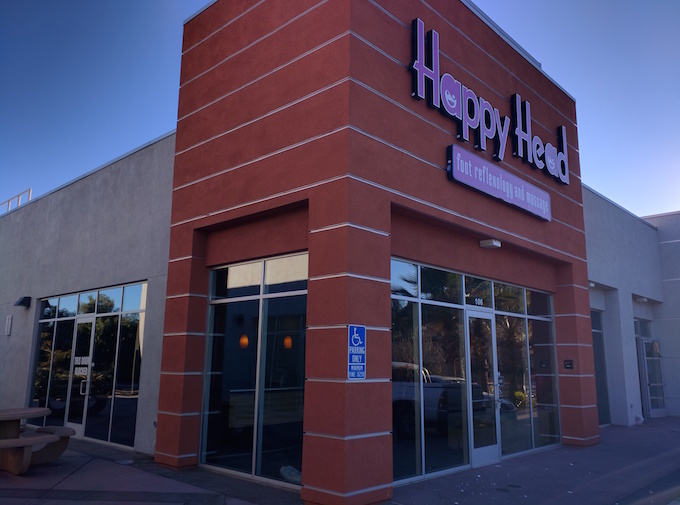 The Chula Vista Happy Head location is located at the Bonita Gateway Retail Center minutes from Eastlake and Plaza Bonita Mall. This location is the newest with extraordinary decor and style making you feel like you’ve received a top notch spa experience without the spa price. What day would you like your massage? What time do you want your massage? ---10 a.m.10:30 a.m.11 a.m.11:30 a.m.12 p.m.12:30 p.m.1 p.m.1:30 p.m.2 p.m.2:30 p.m.3 p.m.3:30 p.m.4 p.m.4:30 p.m5 p.m.5:30 p.m6 p.m.6:30 p.m.7 p.m.7:30 p.m.8 p.m.8:30 p.m.9 p.m.